NEW YORK, March 13, 2019 /PRNewswire/ -- Shutterstock, Inc. (NYSE: SSTK), a leading global technology company offering high-quality assets, tools and services through its creative platform, today announced the appointment of Stan Pavlovsky in the newly created role of Co-Chief Operating Officer and Head of Strategic Operations responsible for overseeing product, marketing and technology. "Stan is a seasoned executive with extensive experience successfully growing and leading eCommerce, retail, and digital media businesses. In this role Stan will be responsible for ensuring tighter alignment among product, marketing and technology while driving continuous improvement of the customer and contributor experience," said Jon Oringer, Founder and CEO of Shutterstock. "Stan will bring his energy and passion to drive the growth of the business, the successful implementation of Shutterstock's vision to be the leading creative platform, and the execution of operational goals. This appointment will enable me to focus on long-term strategy and innovation, ensuring Shutterstock's continued competitiveness and position of strength in this dynamic and vibrant industry." Stan brings decades of experience, most recently serving as President of Meredith Digital and Executive Vice President, Meredith Corporation, a media company that is home to leading national brands, including PEOPLE, Better Homes & Gardens, InStyle, REAL SIMPLE and Martha Stewart Living. He was responsible for leading Meredith's core digital assets, including its sites and products, strategy, content, sales and its creative studio, The Foundry. 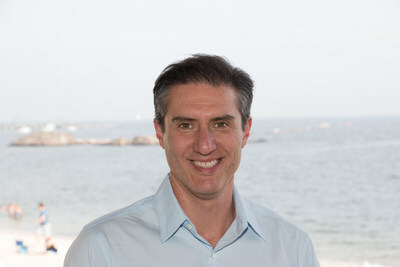 Prior to that role, Stan successfully led strategy and development for Meredith's largest digital food enterprise, Allrecipes.com, as the brand's President. Commenting on his new role, Stan Pavlovsky said, "I am extremely excited to join Shutterstock, a company with a long history of delivering innovative creative products for marketers and with huge potential to grow in the industry. Content and creative solutions have become business critical for companies to succeed, and Shutterstock is uniquely positioned to support them from an eCommerce perspective and through its enterprise solutions." Statements in this press release regarding management's future expectations, predictions, beliefs, goals, intentions, plans, prospects or strategies may constitute forward looking statements within the meaning of the Private Securities Litigation Reform Act of 1995 and other federal securities laws. Such forward-looking statements are subject to known and unknown risks, uncertainties and other factors including risks related to any changes to or the effects on liabilities, financial condition, future capital expenditures, revenue, expenses, net income or loss, synergies and future prospects; our inability to continue to attract and retain customers and contributors to our online marketplace for creative content; competitive factors; our inability to innovate technologically or develop, market and offer new products and services; costs related to litigation or infringement claims, indemnification claims and the inability to prevent misuse of our digital content; our inability to increase market awareness of Shutterstock and our products and services; our inability to effectively manage our growth; our inability to grow at historic growth rates or at all; technological interruptions that impair access to our websites; assertions by third parties of infringement of intellectual property rights by Shutterstock, our inability to effectively manage risks associated with operating internationally; our exposure to foreign exchange rate risk; our inability to address risks associated with sales to large corporate customers; government regulation of the internet; increasing regulation related to the handling of personal data; actions by governments to restrict access to our products and services; our inability to effectively expand our operations into new products, services and technologies; our inability to protect the confidential information of customers; increased tax liabilities associated with our worldwide operations, including our exposure to withholding, sales and transaction tax liabilities; the effect of the TCJA; general economic and political conditions worldwide; our inability to successfully integrate acquisitions and the associated technology and achieve operational efficiencies; and other factors and risks discussed under the heading "Risk Factors" in our most recent Annual Report on Form 10-K, as well as in other documents that may be filed by Shutterstock from time to time with the Securities and Exchange Commission. As a result of such risks, uncertainties and factors, Shutterstock's actual results may differ materially from any future results, performance or achievements discussed in or implied by the forward-looking statements contained herein. The forward-looking statements contained in this press release are made only as of this date and Shutterstock assumes no obligation to update the information included in this press release or revise any forward-looking statements, whether as a result of new information, future developments or otherwise, except as required by law.